One of my favorite people in the world, the beautiful, vivacious Linda, lives in Lake Havasu City. When she first moved away from our San Mateo neighborhood I was crushed and disappointed that she was moving to Arizona. As our busy lives went in different directions, we lost touch. We reconnected at a Trans International Airline reunion and we took up where we left off hardly noticing the many years that had passed. I didn’t question her at the time, although I was somewhat puzzled thinking she was joking about some restaurant named London Bridge. Years later, when I came to visit, I learned that, yes, the actual bridge was purchased by city founder Robert McCulloch, moved to the city and reassembled brick by brick using a numbering system in 1968. Visitors from all parts of the world flock to see it. “Beach?” I said cocking my head. Beach conjures up a white-sand beach in the Caribbean, not the shores of a man-made lake. As we approached the shore, there was, indeed, a white-sand beach, perfectly groomed. Nestled in a bed of rocks overlooking the lake was an adorable lighthouse looking like a perfect painting in a fantasyland. Elaine smiled at my surprised face and volunteered, “Yes, we had white sand trucked in. And the lighthouse is an exact replica of the actual West Quoddy lighthouse in Lubec, Maine. There are lighthouses all around the lake representing famous lighthouses from all over the U.S.
Captain Gary seconded that, “Oh, yeah, you get stuck on the north side of the lake at night and you’re screwed!” he said with a grin. If he’s speaking from experience, he lived to tell about it. Meanwhile, I can’t wait to go on the lake cruise Linda arranged so I can see the other lighthouses, especially Pigeon Point! Tags: Boat Show, Lake Havasu City, Lighthouse, London Bridge, Maine, Pigeon Point, West Quoddy. Bookmark the permalink. HAPPY BIRTHDAY! 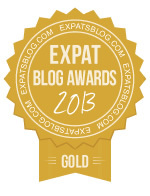 What a great way to celebrate by posting another winning blog! Lighthouses in Arizona? Who knew! Thanks so much, Sally! I so appreciate your loving friendship and support! Great piece….hope Pigeon Point didn’t disappoint! I doubt it! Great company to be enjoying all of this with! Awwwww…. Thanks, much, Elaine! You are a quite knowledgeable and delightful tour guide. I think we should take over the Sunset Cruises! Way fun!! Look at you looking fabulous and soooo happy on your birthday days. I am delighted you had such a great time and also grateful you have friends who truly appreciate you. Keep writing and sharing.